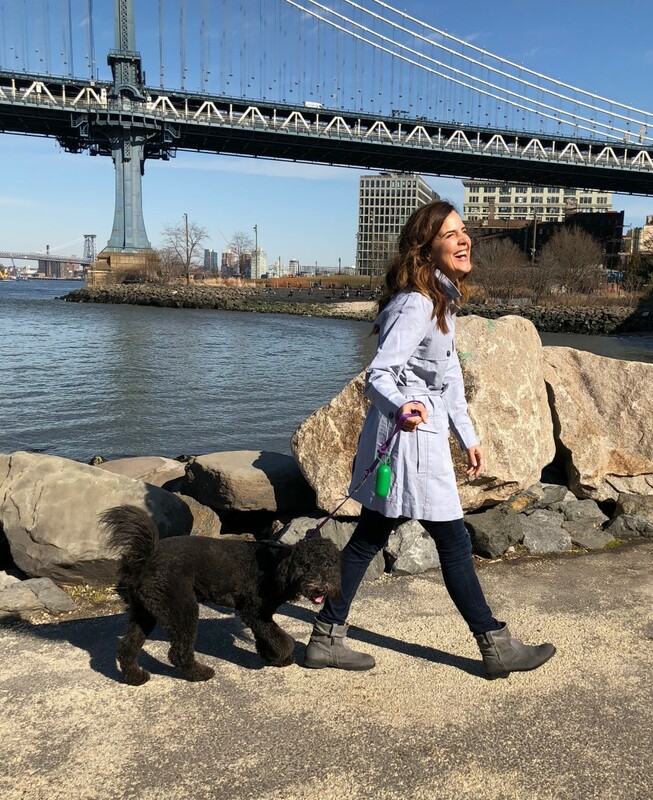 I&apos;ve been writing about cabi clothes for years. They are all about designing wearable fashion that is sold by an amazing group of stylists that have mastered the art of the in-home shopping experience. This season when I looked at the spring 2018 line, I was immediately drawn to the ultimate spring trench. They call it the Tanner Trench, I call it essential. Spring is fickle in NYC. The weather can go from 65 and sunny to 45 and raining in a flash. 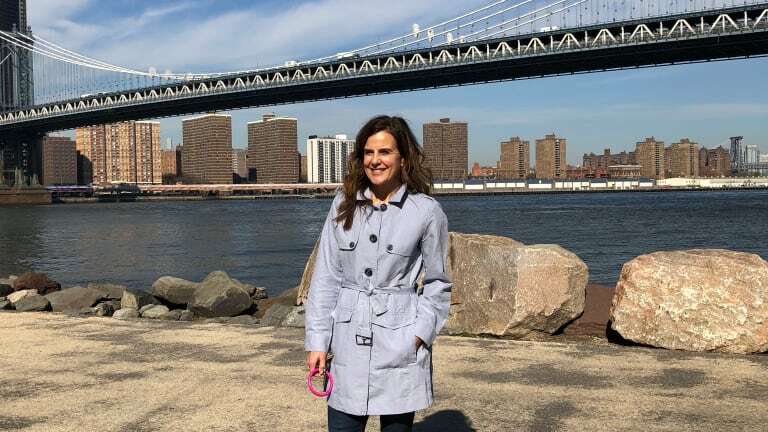 Smart NYC women are always prepared with the right outerwear and layers. 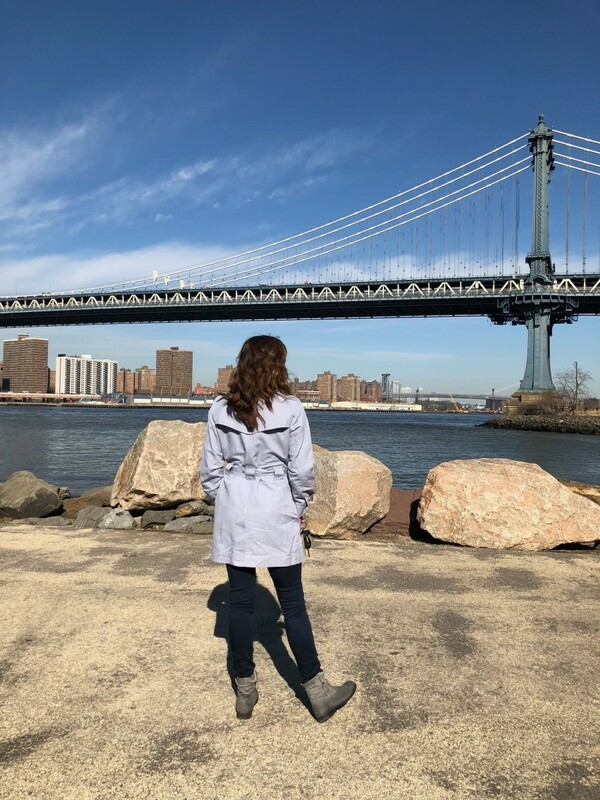 This super-soft cotton blend Tanner Trench is ideal for travel - it weighs next to nothing, yet goes with everything. 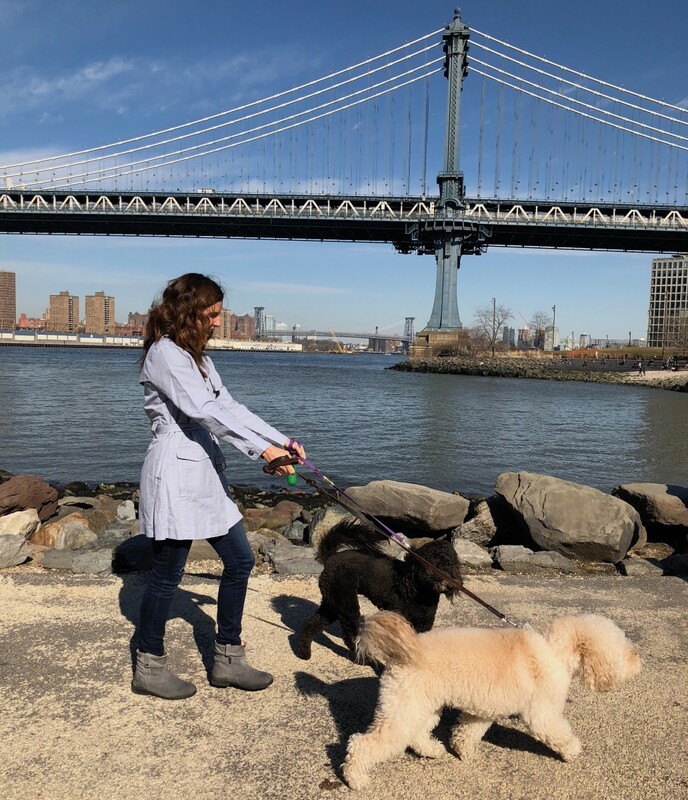 When we had some springlike weather, I took the trench to the Brooklyn waterfront to walk my friends Bruce and Mia (they are borrowed). I love how the jacket moves and the length is perfect. Any longer and it gets a little fussy! And I would be remiss to neglect the back details, this coat has it all! It&apos;s pretty simple to style this trench. Just grab it and go! From jeans to skirts this piece is so easy. 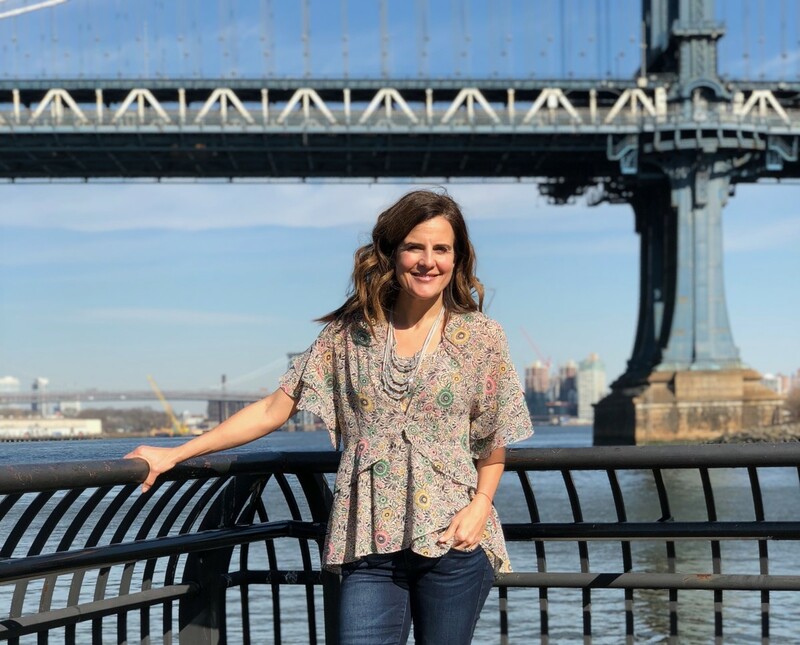 I wore it with last season&apos;s cabi denim and a new top called the Poet Blouse. This romantic top will be seeing a lot more action once the weather warms up. I paired it with the Birkenstock&apos;s Sarnia Slouch Bootie that I found on Shoes.com. We all love Birkenstocks because of the cork insole -these boots feature that! The special insole supports the arches of the foot. I love using Pinterest for outfit inspiration. If you like this outfit, pin it and use it to style your spring trench coat looks. 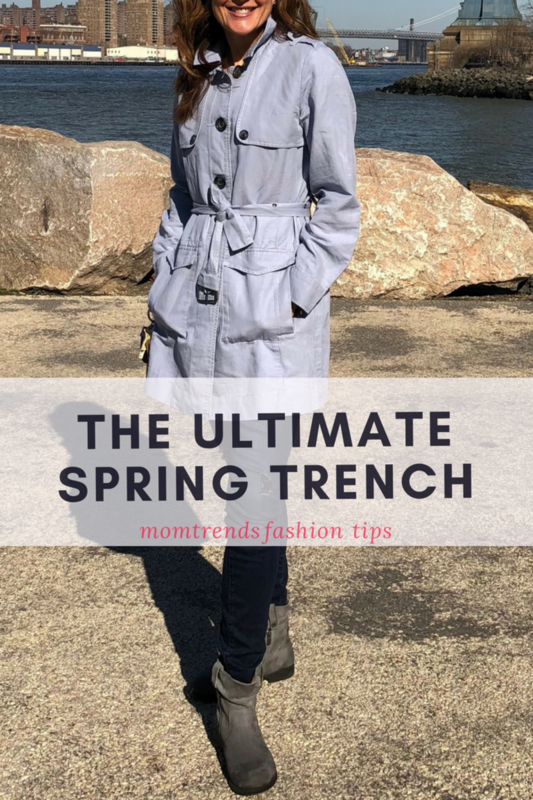 This The Ultimate Spring Trench feature is not a sponsored post. Cabi sent samples over for me to style this spring; same for Shoes.com. Look for a paid campaign from Shoes.com coming up later this spring!